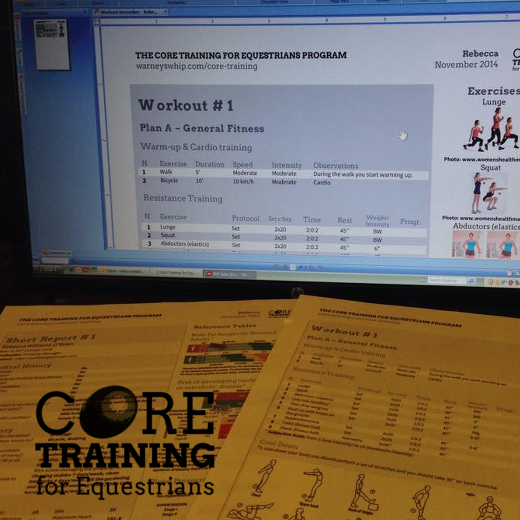 To sign up to “The Core Training for Equestrians” program, you just need to fill in the “Sign Up Questionnaire” and at the end select your payment option. After we receive your questionnaire and payment, the Core Trainer will deliver to you your first workout and a short report about the information you provided. Join us and be on your way to improving your health and your performance on the horse.